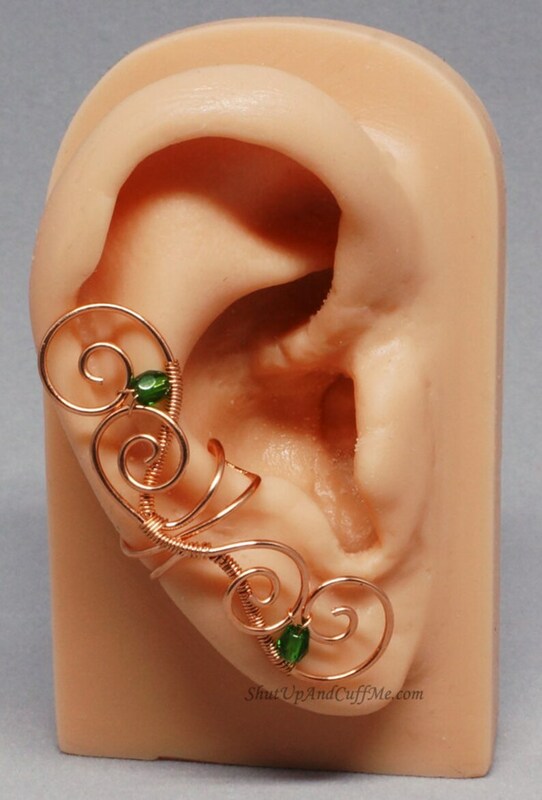 Emerald green glass beads ride the swirling spirals that climb your ear on this beautiful fairy ear cuff. Ear cuff focal is approximately 1 3/4" (43mm) long. No ear piercing is required to wear this ear wrap. 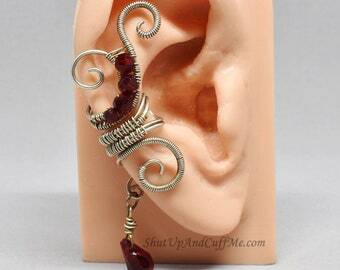 This ear cuff can be worn on either ear. This listing is for only ONE ear cuff. 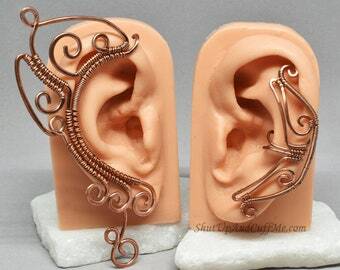 This ear cuff is one of a kind. 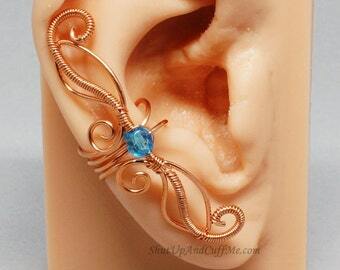 I may do other ear cuffs in a similar style, but I will not duplicate this one exactly.